The Budget SLP: Keeping Track of Blogs! I am a big fan of the Internet for resources. A few years ago, I found a few SLP blogs and liked what I saw. Then a few more and a few more and then I found Pinterest and a lot more blogs. Soon, my inbox was full every morning and I couldn't seem to catch up. I tried keeping track of a few blogs through Facebook, but my friends and family were lost in the maze. Then, I read about Google Reader on Sean Sweeney's blog, Speech Techie and saw that he bundles 60+ blogs written by SLPs. Using Google Reader, I could subscribe to all 60+ blogs at one time and then add other blogs that I follow. I love using Google Reader! Not only are my blogs all in one place, but each type has a separate folder (SLP blogs, home blogs, and family history blogs). I subscribe to over 100 blogs, but read less than 10 posts each day. Remember most bloggers don't post daily and some don't even post weekly. I look at my blogs from the most recent postings and choose the ones that interest me. If I'm having lunch at my desk, my Google Reader is a nice break from e-mail and projects. 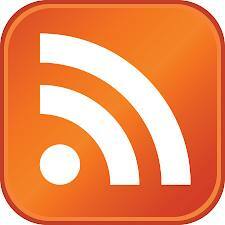 Google Reader is an RSS Feed, but is not the only RSS Feed. To read about Google Reader and other RRS feed readers and the benefits of using RRS feed readers, visit What Is RSS? RSS Explained. Visit Speech Techie to watch a video to show you how to subscribe and use Google Reader. He tells you how to subscribe, manage settings, use keyboard shortcuts, and much more. 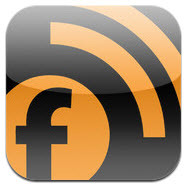 FYI - Once you have subscribed to an RSS feed reader, you can also read your blogs on readers designed for tablets. On my iPad, I read my blogs on Feedler. Try the free version, before going to the paid version. I tried several free feed reader apps before choosing Feedler. Please comment below if you have found a really good way to keep track of your blogs. Thanks for this information!! I have been trying to figure out a better way to follow your and all of the other wonderful SLP blogs available but was not sure how. I will be looking into this asap. Thanks again! Thank you for your comment. It's nice to know that this post was helpful. Definitely watch the video at Speech Techie. That was a big help when I started looking into a reader. Thanks for mentioning the Bundle! !